“The wine in the bottle does not quench thirst.” – George Herbert. This will be very short. On January 31, 2018, Noah and I tasted the September Pear Mead. It wasn’t ready yet and tasted terrible. It was very dry and smelled a little like beer – however, the acidic finish that I tasted at the bottling is gone. This is how the wonderfully sweet Christmas Mead we drank tasted right after I had bottled it, so I think this will be fine when it matures. We still have two bottles left. We will try one at the 6 month mark and save the other for Christmas. Like I said… this is a short one, so – The End. 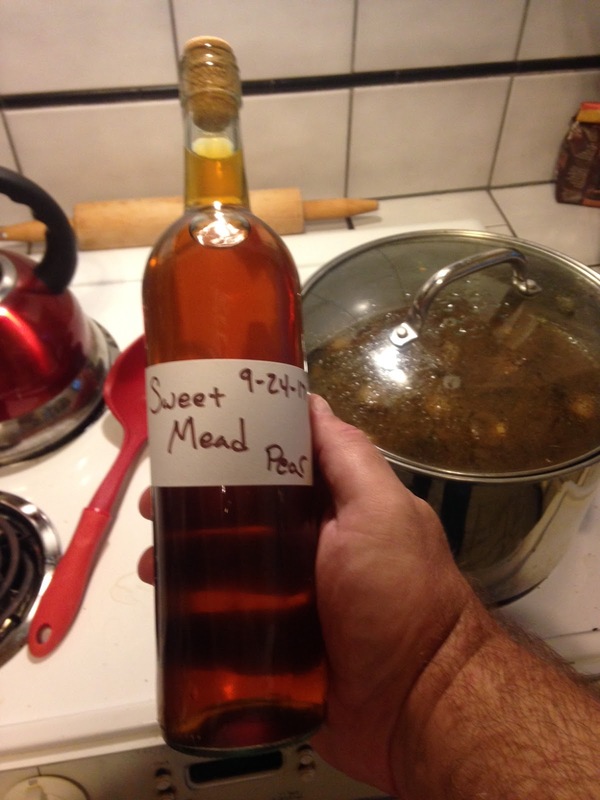 Previous Post Roasted Honey Mead – AWESOME!